I love gummy candies and am always on the look out for those that taste like the real thing (fruit). 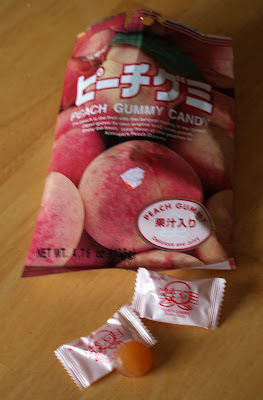 So, when we were shopping with Nate in our local Japanese store I stumbled across these peach gummies and figured I would give them a go. These tiny little gummies taste just like a delicious juicy white peach. Don't be surprised if you start looking for a napkin after you eat one. These peach gummy candies are made by Kasugai a company in Japan. 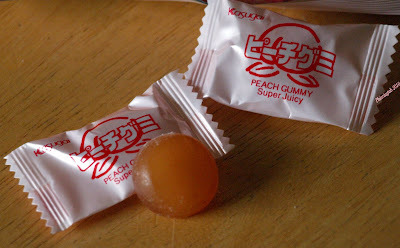 You might be able to find them in a local Asian store near you but if not check out this site to get your peach gummies.